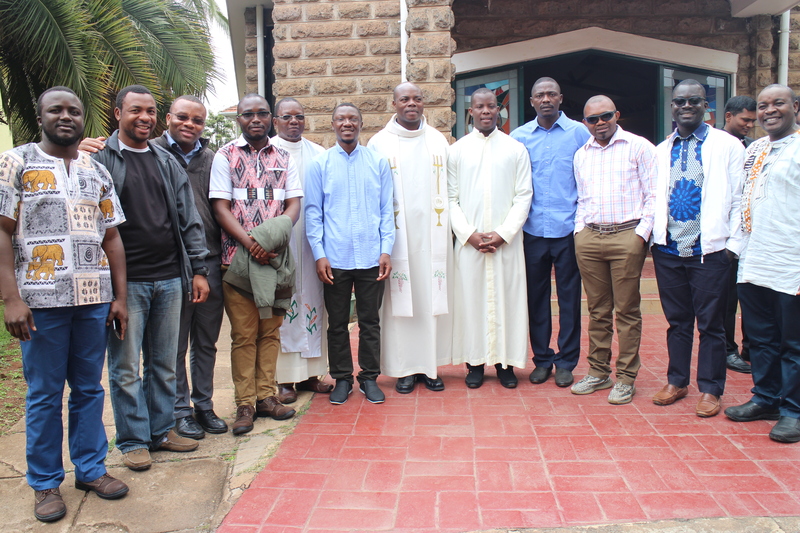 “Receiving ministries is not just an increase in another rank on the shoulder, rather it is a call to service of the people of God.” These are the words pronounced by Fr. 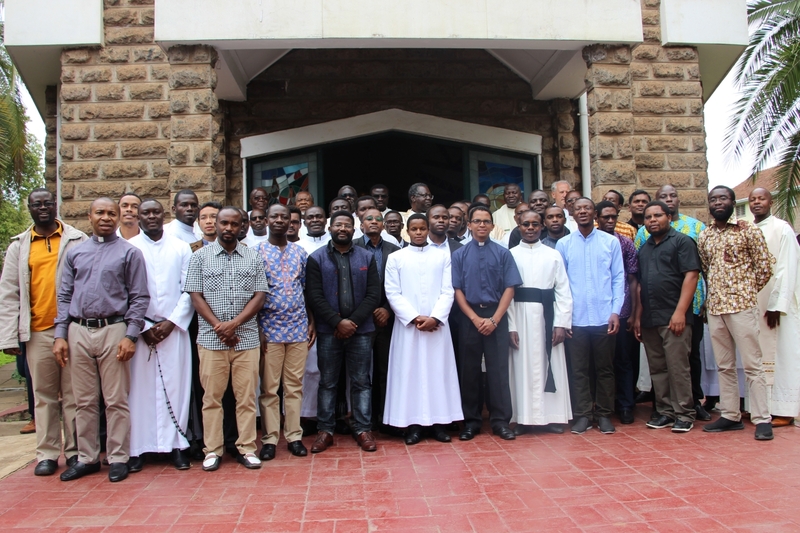 Joseph Oduor Afulo, SJ, Provincial of Eastern Africa (AOR) last Saturday, at the chapel of Hekima university College (Nairobi-Kenya), when he instituted acolytes and lectors (readers) in the Church, fifty-two (52) young men. On the occasion of the celebration of Blessed Rupert Mayer, SJ, Fr. 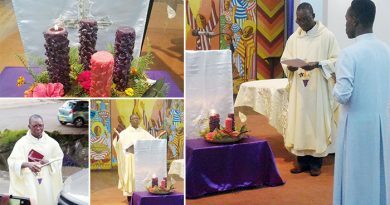 Joseph Oduor Afulo, SJ, Provincial of Eastern Africa (AOR) instituted this November 03, 2018, during a Mass, several readers (33) and acolytes (29). More than fifteen priest concelebrated during that Mass including Fr. 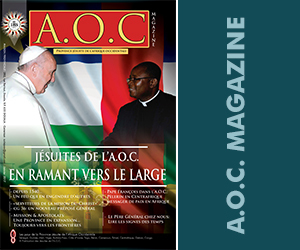 José Minaku, SJ, Provincial of Central Africa (ACE), Fr. 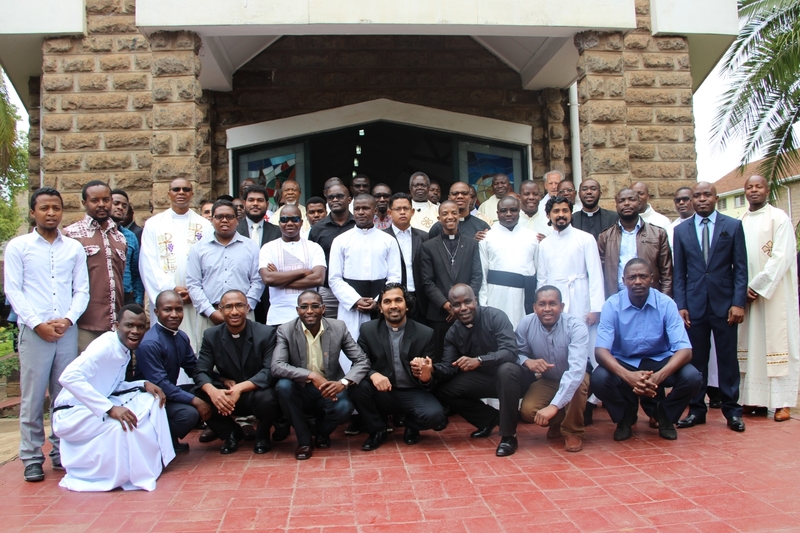 Johny Thachuparamban, CMI, Regional Superior of Carmelites of Mary Immaculate in Kenya, and Fr. 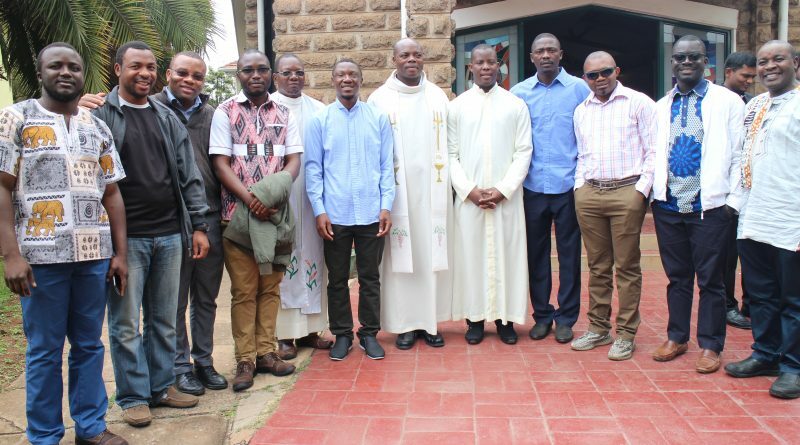 Deogratias, Rwezaura, SJ, Rector of the Jesuit Community of Hekima College; two deacons: Francis Wambua SJ, and Osarodion Iriabe, SJ. What is the role of an acolyte and a reader? 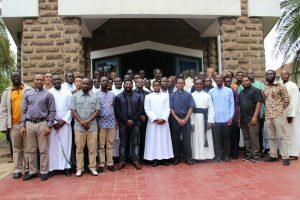 The Provincial of the Jesuits from Eastern Africa invited also the candidates to live in greater humility in the service. 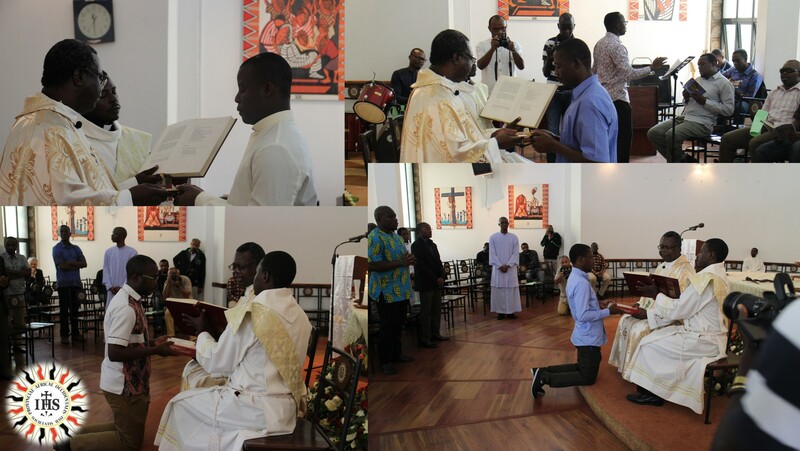 Indeed, « serving in these offices therefore demands humility, dedication, patience and tolerance. 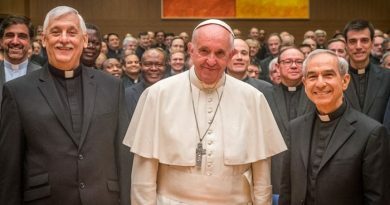 It requires that we are good listeners especially of our brothers and sisters who are vulnerable, poor and oppressed.” Quoting Pope Francis, he added: “one can observe in many agents of evangelization, even though they pray, a heightened individualism, a crisis of identity and a cooling of fervour. These are three evils which fuel one another” (EG 78). 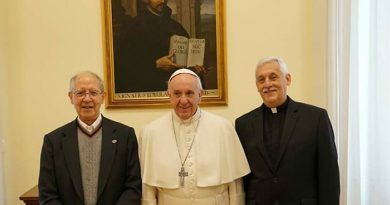 It should be noted that it was through a “Motu Proprio” “Ministeria Quaedam” of Pope Paul VI of August 15, 1972, which decided to institute the ministries of lector and acolyte. 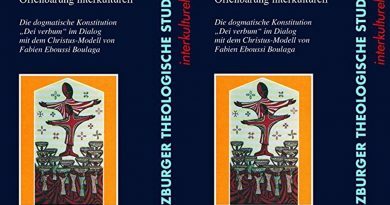 « Traditionally, the ministries were called minor orders which included Cantor, Tomb digger, Acolyte, Exorcist, doorkeeper and reader”. Any lay person can receive those ministries. Recall that the 52 readers and acolytes are coming from different religious congregations. 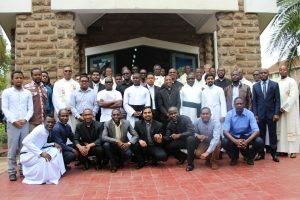 Before this Mass of ministries, the various candidates prepared themselves spiritually for this event through a weekend of prayer. The celebration ended with fraternal agapes.